1968 Corvette Stingray Powered By The L-71 427 CI Tri Power 435 H.P. With The M21 Four Speed Transmission. 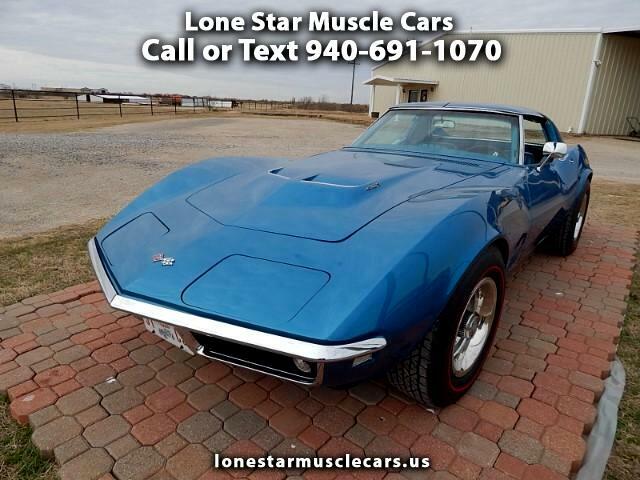 This 1968 Corvette Is All Numbers matching Car with the exception of the new vintage heat and air system. All New Red Line Radial Tires for that classic correct look and modern ride and drive. Painted in the 976 code LeMans Blue And Light Blue Interior is a unique color combo and stands out from the crowd. This car is a show quality car that is ready to go to any NCRS Event. Big block bumper cars have been going up in major value the last few years and this will make a nice edition to any collection.